Fresh designs, quality materials and affordability are the hallmarks of Rocco Originals reading eyewear – and that’s no exception when it comes to their Sunglasses Collection. Rocco presents men’s and women’s sunglasses that are unique, on trend and built to last – sunglasses created for discerning, budget-conscious individuals. The dedicated staff at Rocco Originals has been servicing the eyewear industry for 27+ years, pushing cutting-edge style and the latest technology advances in the optical industry to market. Rocco Originals sunglasses proudly live up to the company name – they are true “originals” – distinctive, chic and comfortable to wear. 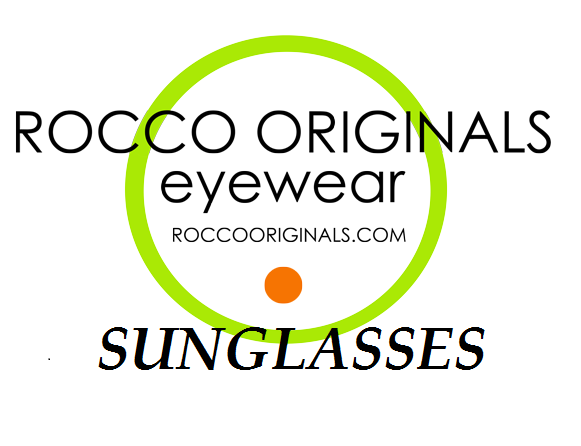 Rocco Originals company motto is “Fashion, Product, Quality and Price”, and all these attributes are evident in their captivating line of sunglasses. Protect and pamper your eyes – while enhancing your appearance and going easy on your wallet – in a pair of Rocco Originals fashion sunglasses!